Contradicting months of then-candidate Donald Trump&apos;s campaign promises, the Department of Homeland Security on Thursday published a press release announcing it would not immediately seek to deport undocumented immigrants who have remained in the United States under the protections of the Development, Relief, and Education for Alien Minors (DREAM) Act. 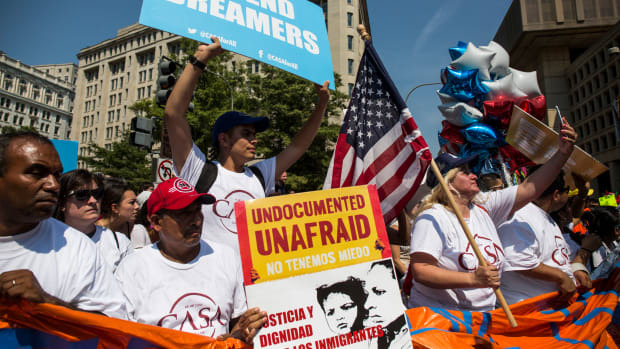 The release, according to a report from the New York Times, was intended to clarify that, while homeland security officials have revoked the Deferred Action for Parents of Americans program—an Obama-era measure that allowed the undocumented parents of American citizens to apply for deferred deportation—it would not immediately do the same to the DREAM Act. But the program still isn&apos;t safe in the long term. 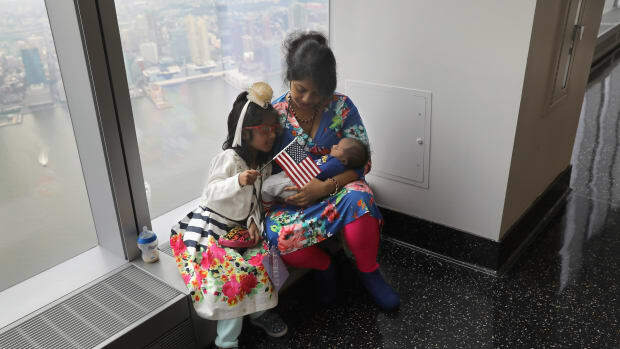 The Times notes that Trump has yet to make a formal decision about the DREAM Act&apos;s future, and might still seek to deport DREAMers or revoke their work permits. 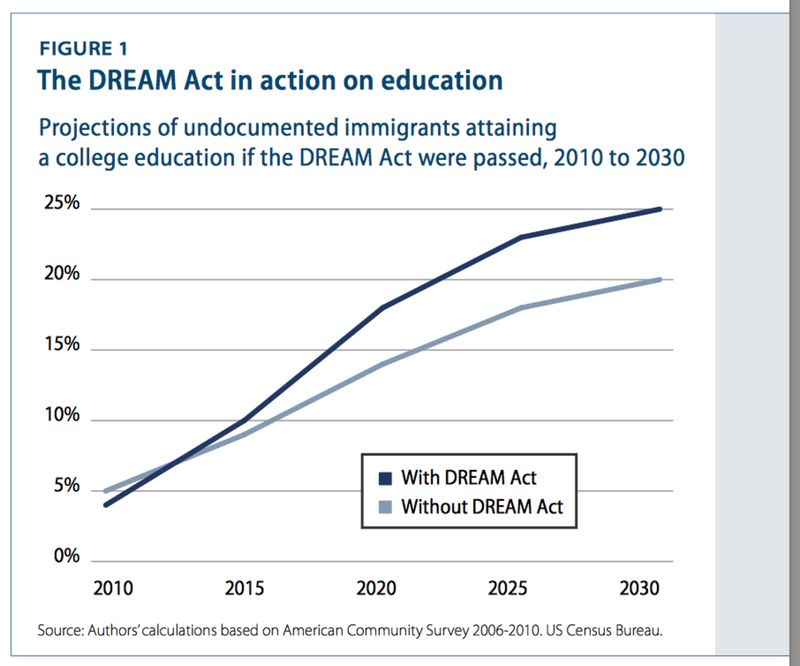 A Center for American Progress report estimates that, by 2030, 1.5 million DREAMers will have received a high school degree or GED, and 223,000 more will have received an associate&apos;s or bachelor&apos;s degree thanks to the DREAM Act. "The percentage of eligible DREAMers with a college degree would be 4 percent higher with the passage of the DREAM Act," the report states. It&apos;s no surprise that better education will allow residents to earn better-paying jobs, including those where they can "utilize their skills and education in above-board jobs instead of low-paying, under-the-table employment," the report notes. 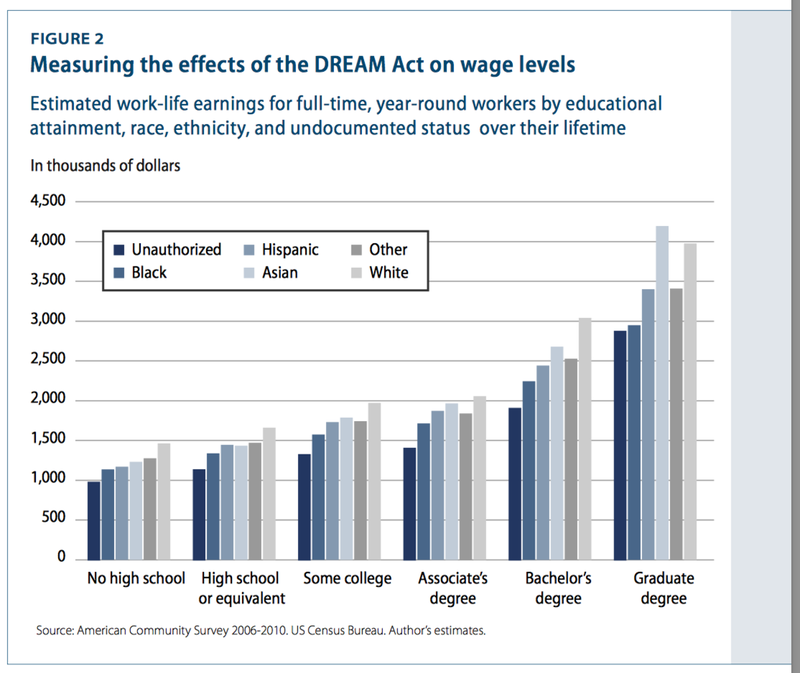 "The cumulative gain in earnings of the eligible population from the passage of the DREAM Act through 2030 amounts to $148 billion," the report concludes. 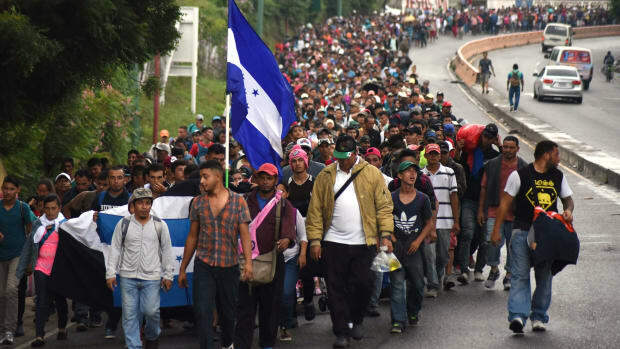 "Put simply, higher earnings for DREAMers translate into more money flowing into our economy through greater consumption of goods and services."